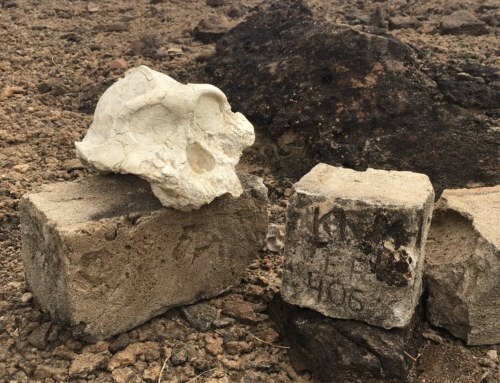 Home|Elephants and Lions and Students, Oh My! Wednesday night the Global Innovation crew went to bed early after dinner and a game of Uno to prepare for a game drive Thursday morning. While animal sightings are never certain on a game drive, the animals were cooperative and did not shy away from our truck as it drove along the dirt road. 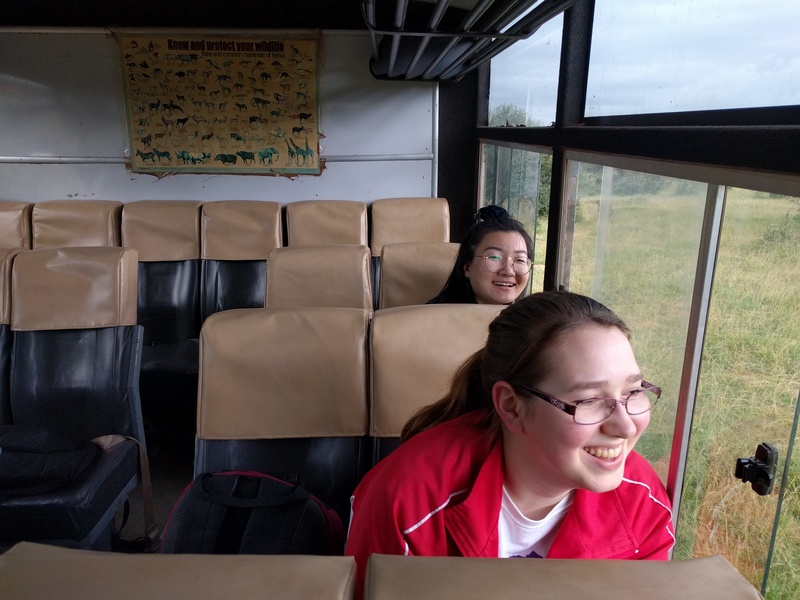 On this trip new animals presented themselves such as impala but most excitingly, hippos. Breakfast was waiting for us upon arriving to Mpala but we did not stay long! After a quick meal the crew was back on the road heading towards water turbines and stormwater storage systems. The water turbines had been established for a ranch house in 1935 and the technology in the building showed its age. It is truly a simple system, which the Ranch Manager, David Hewett, claims is necessary to allow his workers to maintain it. Troubles concerning this system include the lack of efficiency due to old technology and inconsistent river flow due to its reliance on stormwater. Nearly before David finished relaying these issues Rodrigo was already motivating the students to think of how the system can be improved. 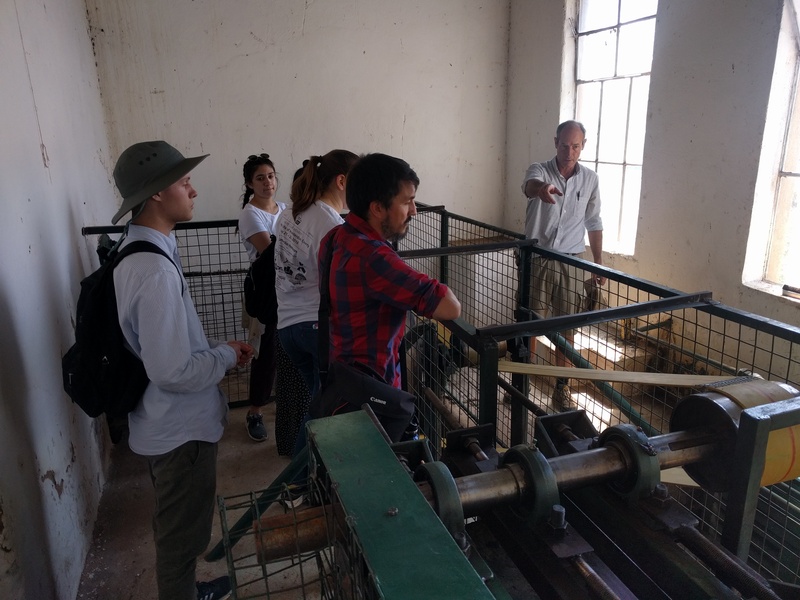 A trip to the water turbine’s machinery. 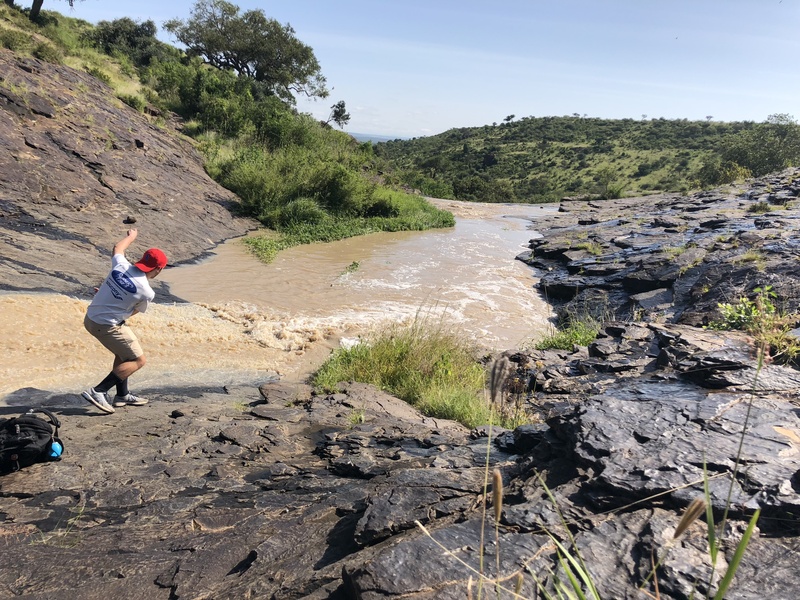 As Alick Roberts, the General Manager of Mpala, lead us to a weir which collects stormwater the students experienced something no other Global Innovation crew has experienced before, lions. Alick directed us to open the roof hatch of his jeep for a better look at the lion and lioness. It seemed to be a theme that a new and incredible animal was a turn away every time we thought we had seen it all. Zebras, giraffes, and elephants were all becoming regulars on any trip we took. The group was particularly surprised to see a rhino at one point, as it was thought that rhinos were not in the area. 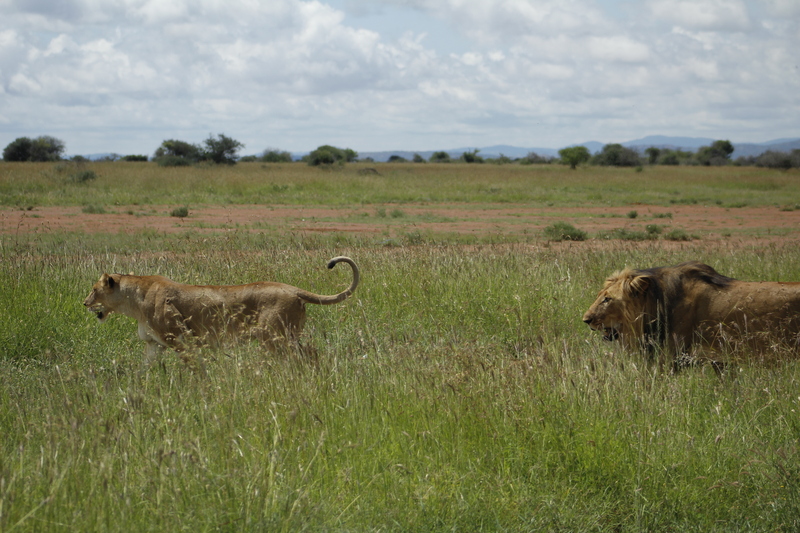 A lion and lioness strolling through the planes of Mpala. Once at the weir Alick explained that application of water collected by weirs differs at each location. 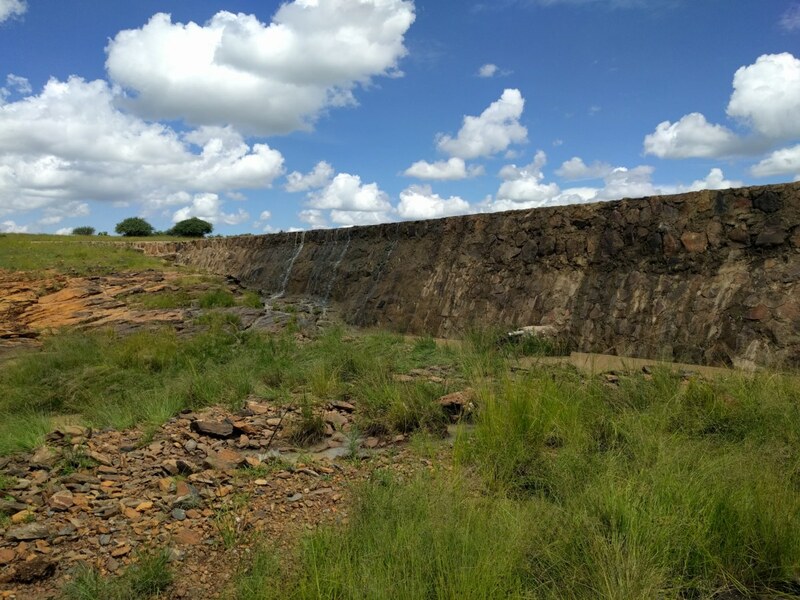 Some weirs are mainly for livestock while others are piped for human consumption, the latter typically were portected by electric fences to avoid contamination. 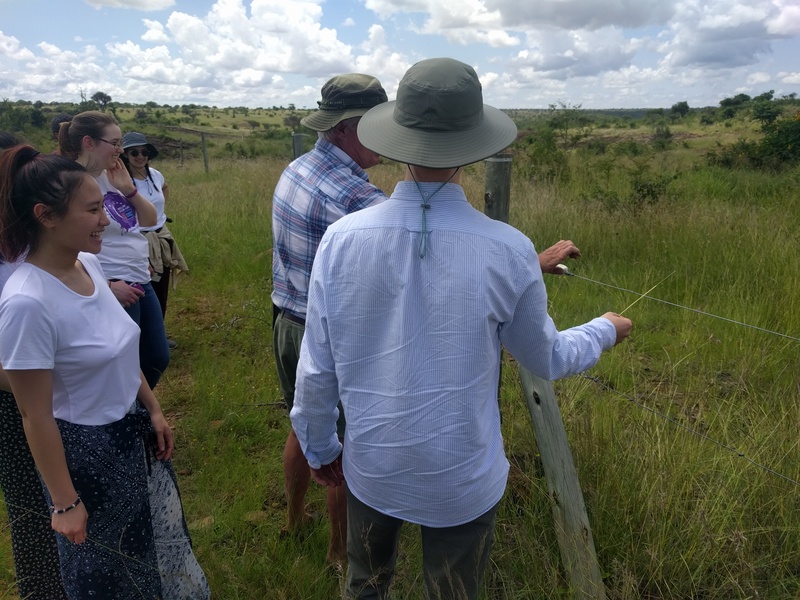 Using one of his many tricks learned through years of experience, Alick showed us how to test if an electric fence is live simply by moving a long blade of grass along the wire. All weirs had been constructed using local materials and we learned how important locating a proper site for a weir is. Alick helps Sam test the electric fence to see if it has a charge. One of the weirs which was toured. After lunch we were amazed to learn how important studying variations of bird eggs is to a researcher at Mpala, Steph. She gave a quick lecture which taught that several characteristics of eggs can tell a lot about a bird including color, where the eggs are laid, how the nest is constructed, and much more. The night finished with a game drive which rolled over into darkness. As John, our driver, apologized for most animals having gone to bed already we ensured him simply driving in the darkness was an experience within itself. Later cool temperatures and moderate rain persisted, breaking expectations of a blistering hot Kenya. Smiles on an evening game drive. David met us again on Friday for another fascinating learning experience. 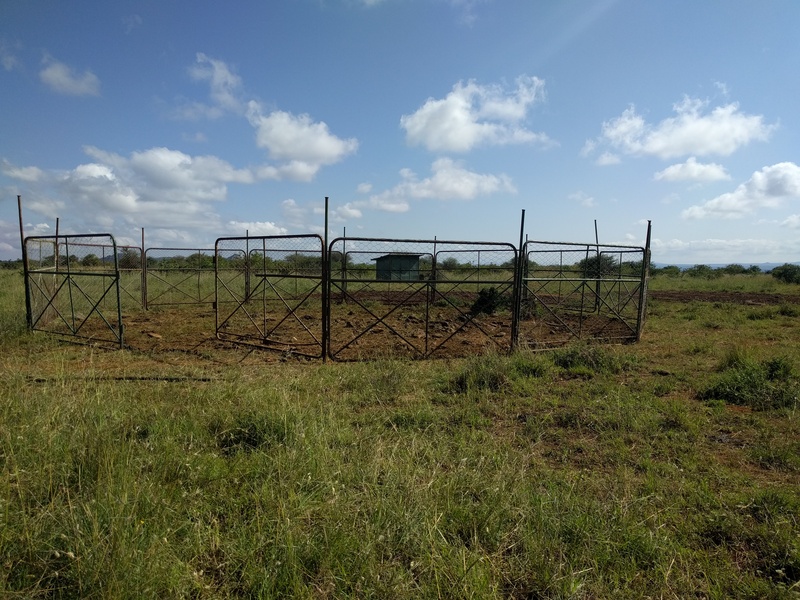 It started with an in-depth tour of the livestock and farming practices used at Mpala. 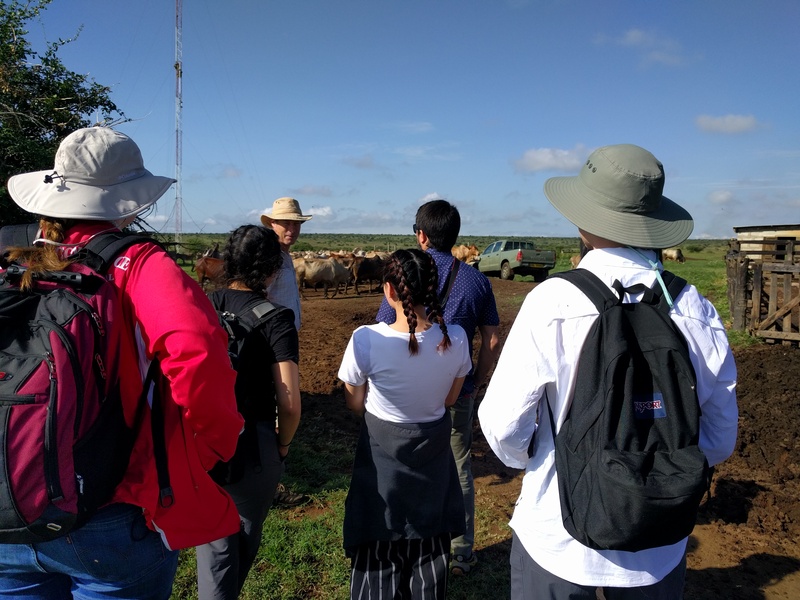 The students witnessed first-hand how Mpala deals with disease control of their livestock. We watched as cattle after cattle walked through a washing device which sprayed each animal with a chemical treatment to remove ticks. David shows the students his farming system. We then visited a couple of farming sites where rotational grazing of the livestock is implemented. 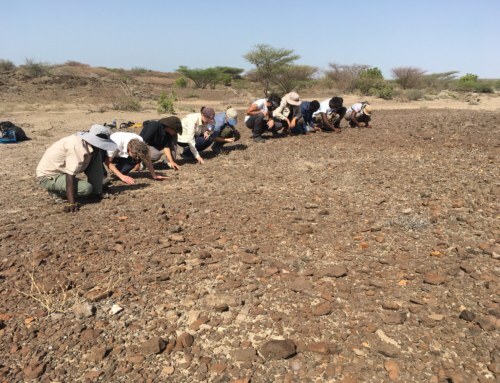 The livestock are vital in preparing the ground for crops and the results of this process were astonishing. 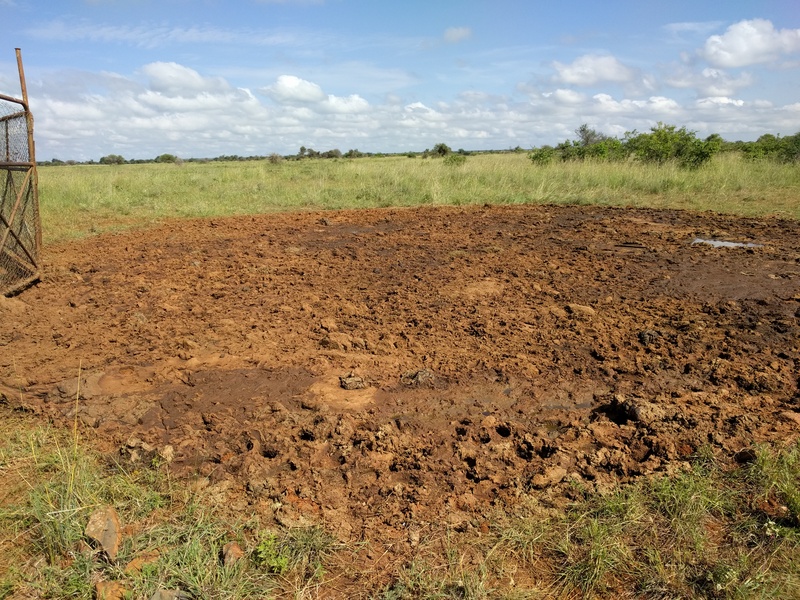 It was fascinating to see how Mpala is able to integrate their livestock, agriculture, and wildlife in one cohesive area. Fenced in farming area before grazing. Fenced in farming area after grazing. The soil is aerated, nourished, and ready for growth. Before lunch time we were fortunate enough to listen in on a lecture about an organization which combats the poaching of elephants worldwide. The organization has set up walks all over the word, even in Washington D.C., to raise awareness about the ongoing issue. The most exciting part of the day came when the students were presented with their first opportunity to get some hands-on experience. One of the researchers at Mpala introduced us to a technology that monitors weather and soil conditions which will help farmers. 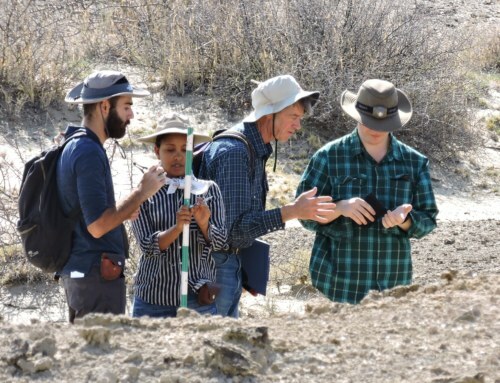 All of the students helped to set up the device and we ran a quick experiment in field of the Research Center. We finished assembling the device and collected some results right before we narrowly escaped a tremendous rain storm! 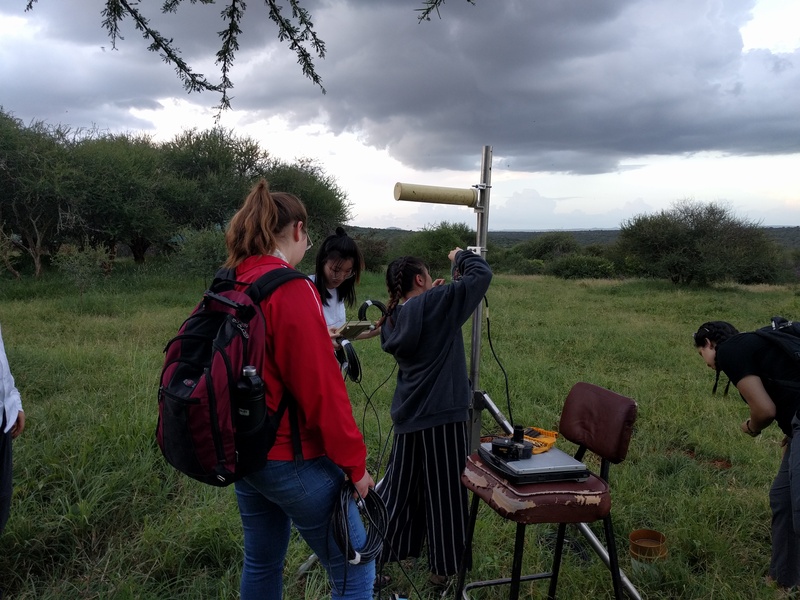 Natalie, Winnie, Konnie, and Emily work to assemble a weather monitoring system. Saturday morning the gang set out to visit a cave. 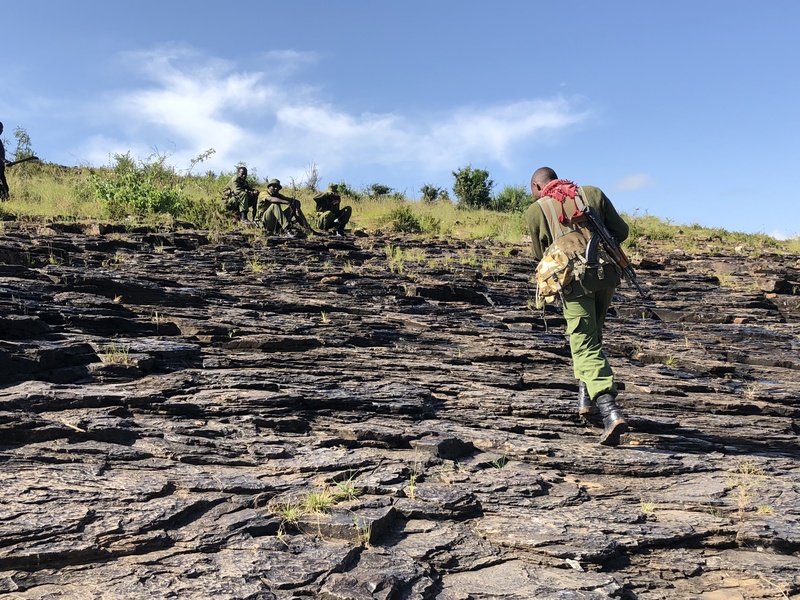 Armed guards, including our friends Julius and James searched ahead of us to check for predators such as lions or leopards which may have taken a liking to the site. However they reported to us that a stream rather than predators was blocking us from reaching the cave. The recent rains had created conditions in which water levels were unusually high. Not the least bit discouraged we found ways to enjoy our time at the site. Julius, James, and others patrol the area. 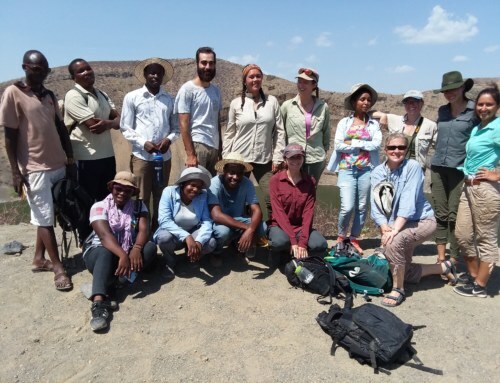 After the team’s last lunch at Mpala we headed to Nanyuki. Nanyuki is a city in between Nairobi and the Mpala Research Center, it is a bit smaller than Nairobi but no less energetic! James, who knows the area well, lead us through bodegas and past multistoried buildings. Locals called out to our group at the unusual sight of tourists. James proceeded with special caution while leading us across streets with no traffic signals or control. When we had finished exploring our stomachs called for some authentic Kenyan food and James knew just the place. 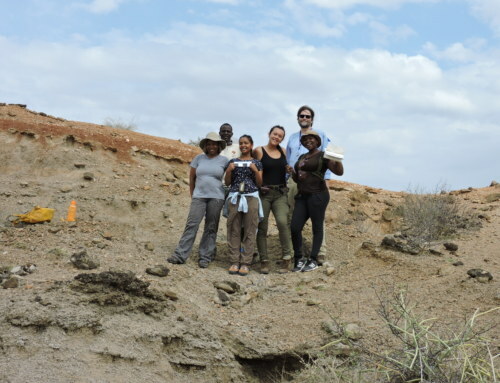 The Global Innovation Crew takes on Nanyuki. 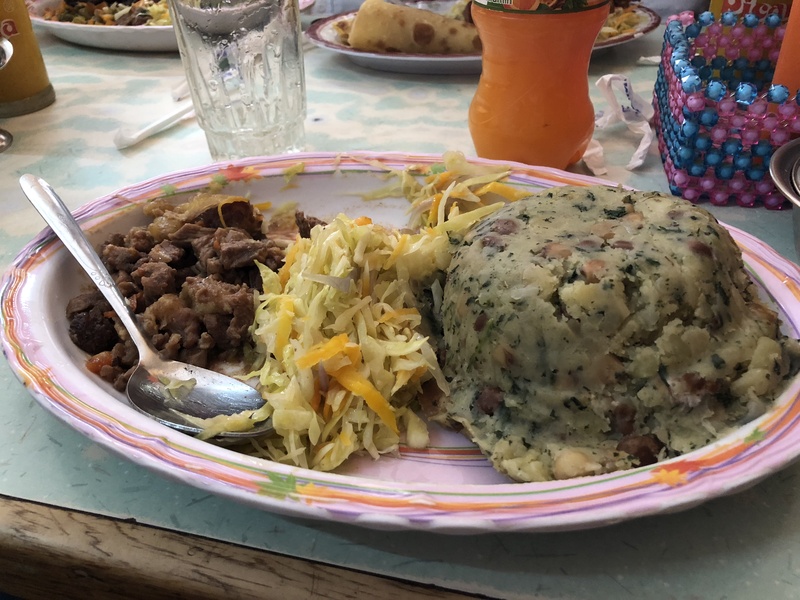 An authentic Kenyan dish suggested by James. 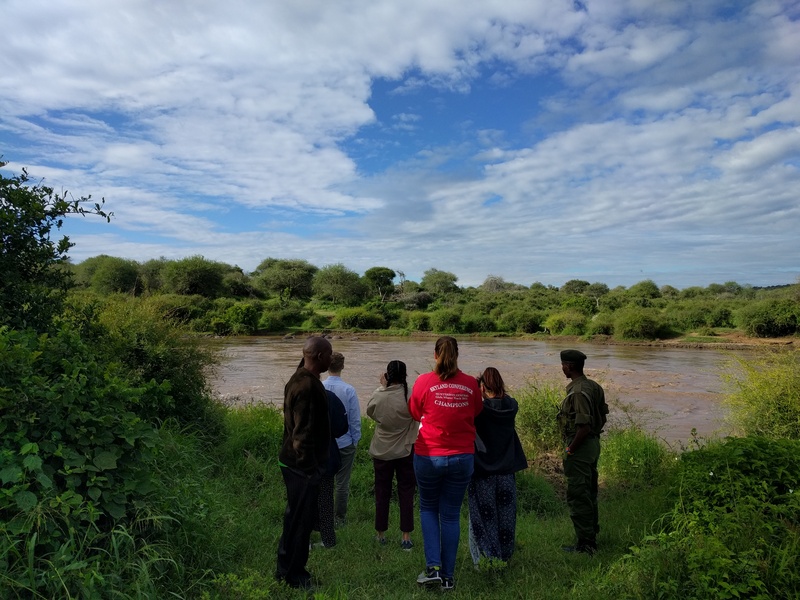 After an exciting week at the Mpala Research Center, it was time to say goodbye and start the next chapter of our journey in Kenya. First thing in the morning we headed to the airstrip to board the Turkana Basin Institute (TBI) plane. 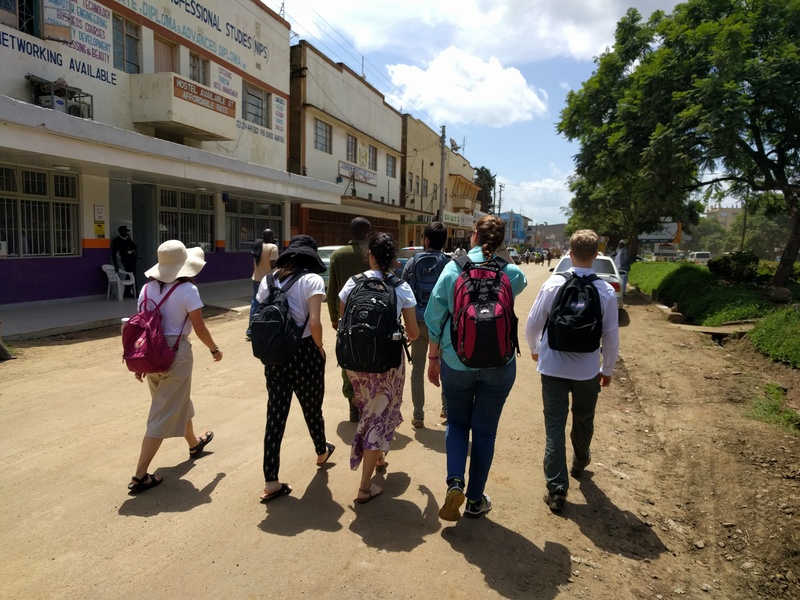 After a couple hours soaring over the breathtaking Kenyan landscape, we finally landed at our next destination, Ileret! Upon landing the first thing we noticed was a much hotter and drier climate. We had arrived in the desert. 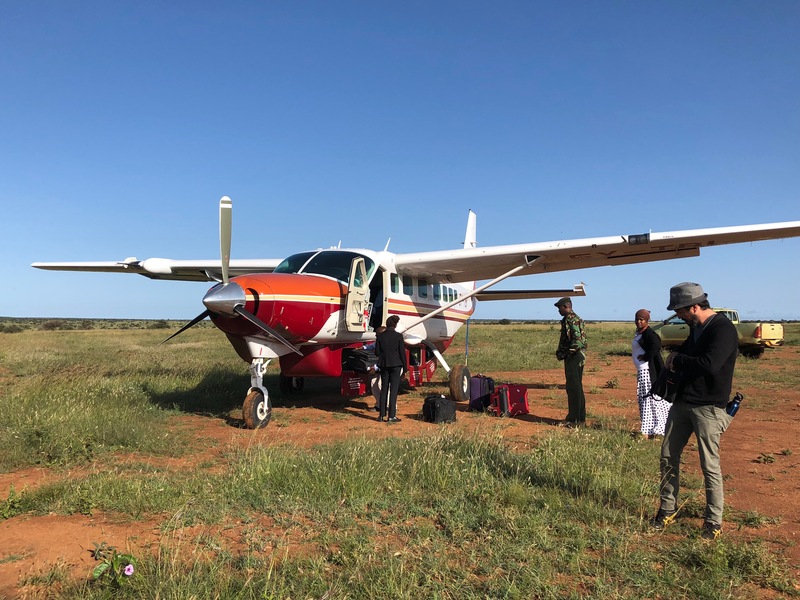 The plane which transported the Global Innovation crew from Mpala to Ileret. The gang first got a chance to unpack and familiarize with the TBI campus which will be our home for the next 4 weeks. The open and breezy structure of the compound allows for the sounds of nature to be heard as we walk from building to building. We then met the amazing staff who will be helping us have an enjoyable stay at TBI. After lunch, we attended a lecture by Professor Peña who described all the exciting opportunities that awaited us in the coming weeks. The students’ main goal will be to choose projects, inspired by experiences and interactions with the community. The first half of our stay will focus on a short-term project which will be implemented during our stay and the second half will focus on a long-term project which will inspire a more permanent solution to pressing issues. 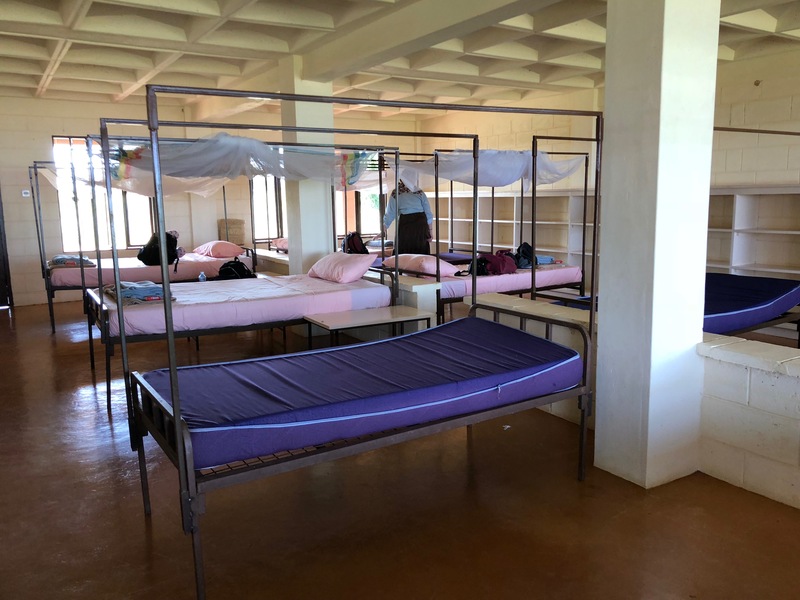 Students’ sleeping quarters for the next four weeks. 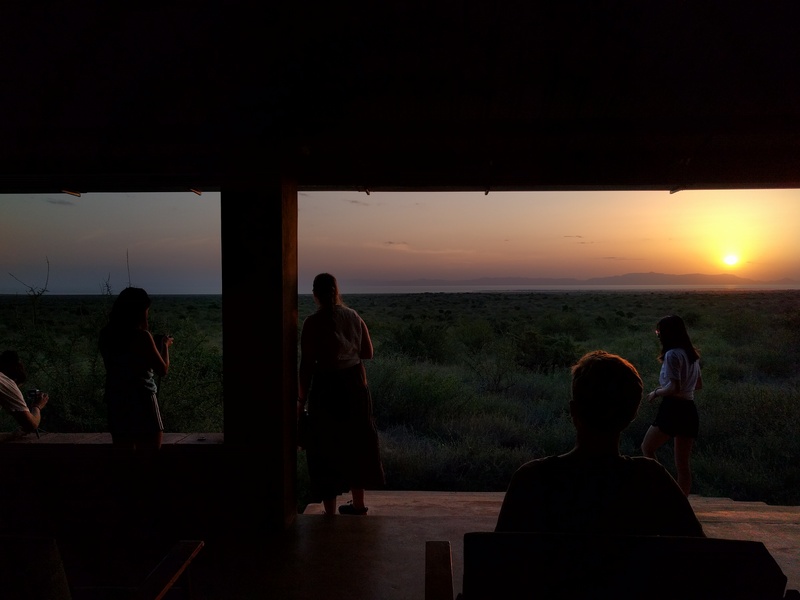 As the reality of finally arriving in Ileret and the excitement of what was to come settled in, we all gathered outside to witness the first of many breathtaking sunsets. Lake Turkana and the silhouette of mountains below the array of colors in the sky made for an unforgettable view. The first of many sunsets over Lake Turkana.